Most days are much the same. However, great changes in our world don’t come from normal days – they are driven by the extreme events, the outliers. Something like 70% of all the drops in the US stock exchanges are due to 6 particular days of extreme share price drops. The course of my own life has not been a steady journey along a clearly defined route… 4 or 5 key days, 3 or 4 chance meetings – this is what has shaped the most important contents of my life so far and the trajectory for the future. 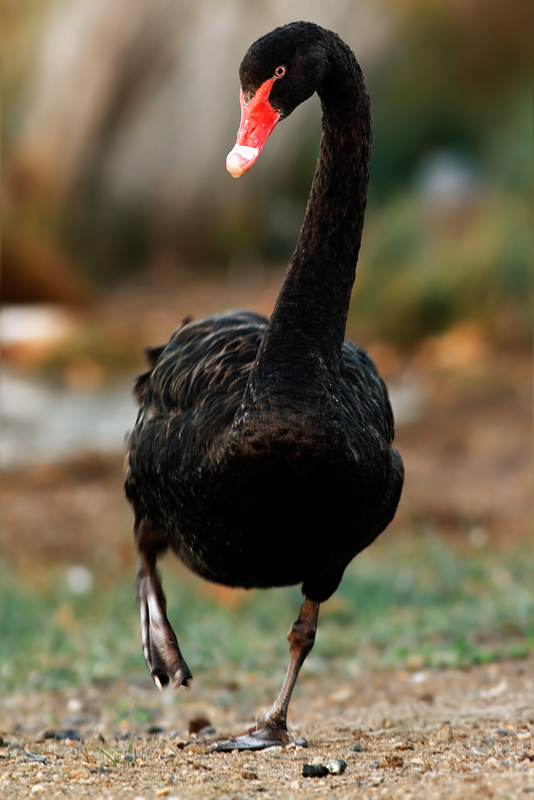 This blog post has been inspired by my reading of Nassim Taleb’s book “The Black Swan: The impact of the Highly Improbable“. I read the biography of Eisenhower in 2002 when I was studying for my MBA. 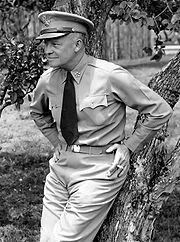 Dwight D. Eisenhower was the lowest ranked of his whole West Point class at the age of 42. He had been passed over for promotion to Colonel twice and was now based on the island of Guam, in the middle of nowhere, and he did not get along with his boss. Acording to his son, he was trying on pairs of jeans and getting used to the idea of civilian life. The next day Eisenhower described to Marshall his plan, covering logistical response, political response, military response, communications response… and Marshall said “Good. Now do it.” Eisenhower was promoted on the spot and given command. This moment led to his appointment as the Supreme Allied Commander in Europe. His plans and execution allowed the allies to win the war. In 1953, he was elected President of the United States and won a second term in 1956. If Eisenhower had not been passing through the island of Hawaii on 8th December 1941, how would his life have turned out? Who would have been the 34th President of the United States? What would Dwight D. Eisenhower have accomplished in civilian life? A factory supervisor? Maybe a middle manager at GE? Or is destiny so powerful that he would have found a route to Presidency through another path? (I seriously doubt it). The illusion of understanding: Plato, Newton, many scientists have discovered simple rules that predict the way the universe works. I have a preference for simple formulae that predict behaviour. I love to generalise from my experience. The world is more complicated (or random) than the simple models we would like to use. Nando Parrado talks about the biggest decision in his life being the choice of seat 9B on an airplane 36 years ago (see my previous post on Nando Parrado here). The distortion of hindsight: we underplay luck in our analysis of the past. We seek hindsight validation of why Google is number 1, why Starbucks has 14,000 stores and another Seattle coffee shop is still just that, why one person becomes rich whilst another becomes poor – and we latch on to the simple models that we then try to generalise and apply. Each case of success is due to a massive quantity of luck (well discussed in Malcolm Gladwell’s book “Outliers”), combined with some decent input ingredients (that are well worthy of study and copy). The overvaluation of authoritive people: they know lots about the past… but the future is not going to be just like the past – yet we shut down our brains and listen blindly when “the expert” walks into the room. They are the type of people who would say that there is no such thing as a purple cow. You will not see what you are not looking for, especially if you do not believe that it could exist. (watch this 60 sec video first – and tell me how many passes of the basketball are completed by the white team). So, if prediction of the future is impossible, should we close down business schools, history courses, cancel company strategy planning sessions? I would say “no way”. I love a quote of Winston Churchill on planning: “The plan isn’t worth the paper it is written on; however, the process of planning is priceless”. We don’t have plans because they necessarily turn out just so – we have plans so that a team of people have shared goals, ideas and passions. They may exceed their plan or fail miserably in following their plan – but the fact that they work together as a team is important. The chances of success without a goal is very low. The chances of success with a goal and a bit of luck are greater. My other conclusion is that the worst thing that business schools can create are “experts”. If a professor runs a class as if they and they alone have the answer then we are failing. If an MBA comes out feeling that he or she is an “expert” then we have failed. If they come out with integrity, ideas, the ability to inspire, motivate and work well with other people, perserverance… then we have succeeded. My final question… how do I get more luck? Happy Christmas and I wish you all a healthy, happy and fun 2010. Previous Post: Persuasive Speaking. The four types of audience.